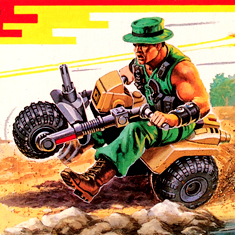 There were five Motorized Vehicle Packs released in 1988, "most with unique pull back motors!" 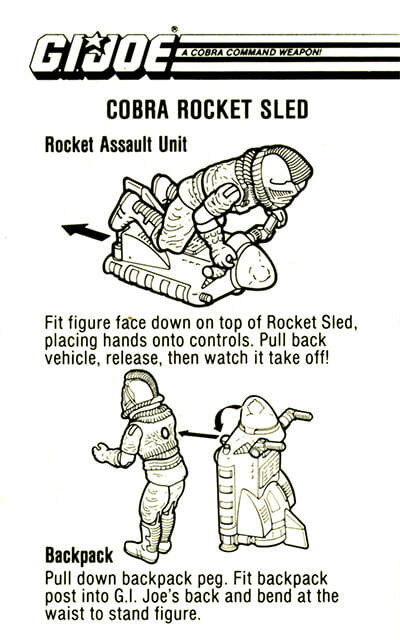 Each of the Motorized Vehicle Packs can be "packed up" and worn like a backpack. 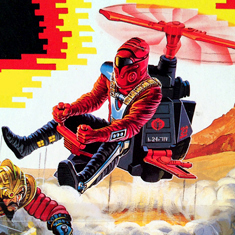 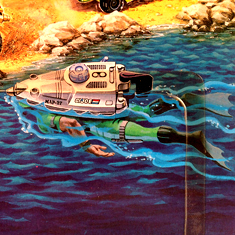 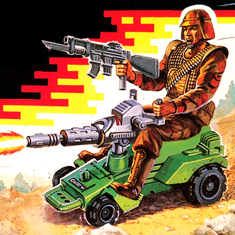 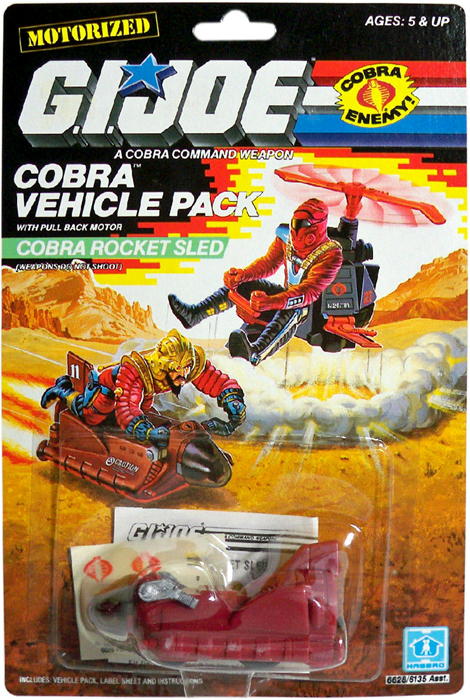 NOTE: Although the card art shows Voltar manning the Rocket Sled, and he's pictured above, he did NOT come with the pack. 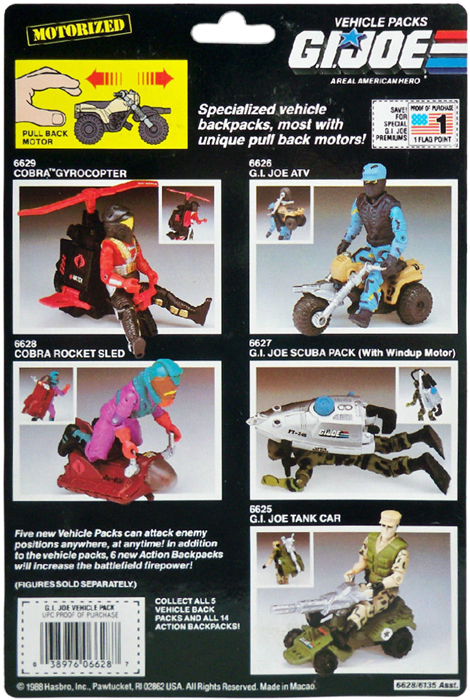 There were five Motorized Vehicle Packs released in 1988. 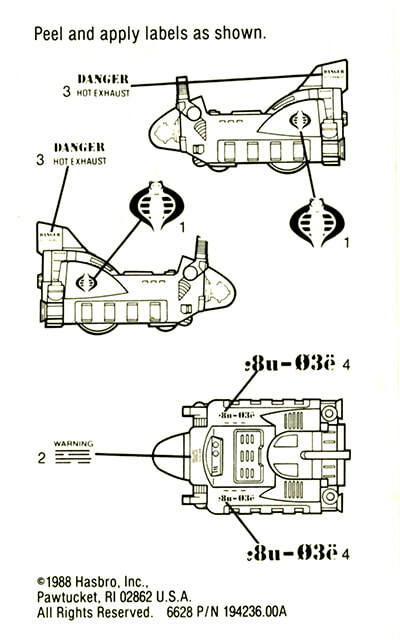 Click the images below to see the other four!